LOS ANGELES, CA, August 04, 2018 / On June 24, 2018, the flag of the United States was raised over Holy Heavenly Lake in California. That flag was not bought from the street. Rather, it was the very flag that on May 15th was fluttering in the sky above the United States Congress in Washington, D.C.. The same flag was later delivered to the Office of H.H. Dorje Chang Buddha III. 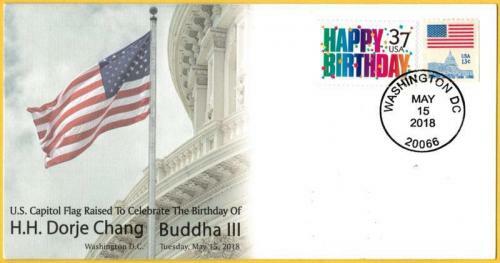 The raising of that national flag at the Capitol was inspired by the Buddha-character of H.H. Dorje Chang Buddha III.